The average worldwide sea level has increased more over the past 150 years than during the previous 1,500 years, experts say, and the seas continue to rise at an ever-increasing pace. 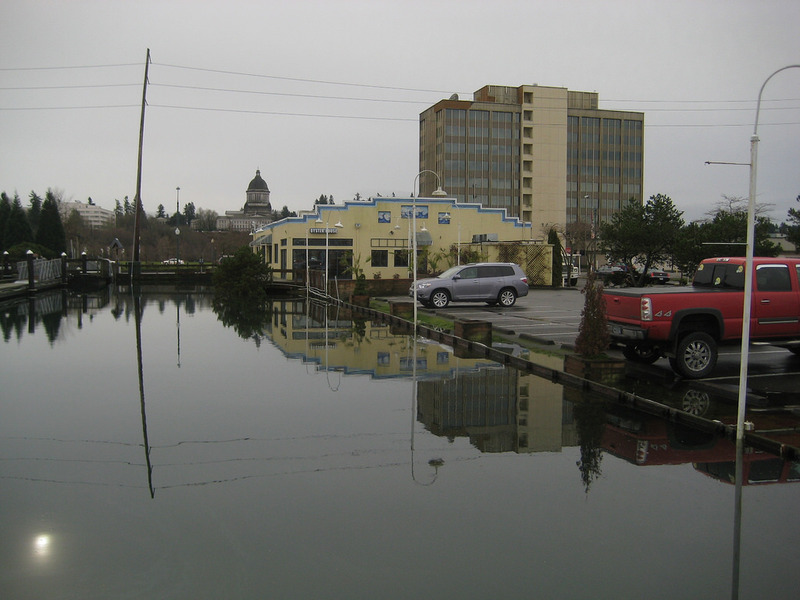 What are viewed today as “extreme” high tides or “king tides” in Puget Sound will become more common over time as new and higher extremes are reached. The two primary causes of sea-level rise are thermal expansion of sea water — the water itself literally expands — as the oceans get warmer over time, and the melting of land-based glaciers, ice caps and ice sheets. Melting has become the greater factor over the past 25 years, as the rate of melting worldwide continues to increase. How much the sea level will rise in the future depends on numerous factors, primarily driven by how much greenhouse gases get released into the atmosphere. Because of difficulty in predicting human actions, climate models vary greatly in predicting the rate of sea-level rise. For the Puget Sound region, researchers often work within a middle range of 1.5 to 2.0 feet by the end of this century, although estimates range as high as 4.75 feet and beyond. In a study for Island County, Ian Miller of Washington Sea Grant and other researchers used the results of climate modeling and information about vertical land movement to establish predictions about the likelihood that the average tide will reach certain heights at various times. For example, the analysis suggests that there is a 99 percent chance that by 2040 — just 23 years from now — sea levels will be at least 2.4 inches higher than today, a 50 percent chance that they will be 7.2 inches higher, and a 1 percent chance that they will be 10.8 inches higher. This scenario is based on a climate model that assumes relatively high greenhouse gas emissions. The tides will keep rising even faster after 2040, researchers say. Another way to look at these probabilities is to compare today’s high tides with what we are likely to see in the future under the high-emissions scenario. As things stand today on Whidbey Island, tides that reach 3 feet above the average high-tide level of 7.4 feet are seen about once every 20 years on average. By 2040, it is likely that this same high-tide mark will be reached every four years or so. By 2050, this same high tide will be seen about once a year. Meanwhile, new record-high tides will continue to be recorded throughout Puget Sound. The 3-foot increase in tides used in the calculation accounts for both changes in sea level plus high water caused by storm surge. For this analysis, storm surge is assumed to remain the same over time, since experts have observed little change in the past and future changes have not been thoroughly studied. Miller’s report can be requested by email from Island County officials. Contact Lori Clark, l.clark@co.island.wa.us, or Dawn Pucci, d.pucci@co.island.wa.us.